It is estimated that there are over 1 million practicing Wiccans around the world today. This number used to be much smaller, but interest in Wicca, Witchcraft, and contemporary magic has increased exponentially over the past few decades. The dramatic rise of this Nature-based religion is due at least in part to the Internet—just twenty years ago, people curious about these subjects often had little access to credible information, especially those without a good New Age or Occult bookstore nearby. But the appeal of Wicca is also growing in tandem with the increasing complexities of our modern, high-pressured mainstream society. The world we live in today seems wholly distant from the one our ancestors lived in—a world where humans and Nature were at one, their existence intertwined in the natural cycles of life. Amid all of our gadgets and other man-made distractions, many people forget to take notice of the sheer beauty of the natural world that still surrounds us. Wicca teaches us to appreciate the Earth, celebrating the intricate changes in the seasons and everything they bring—from the bounties of the Summer harvest to the cold and darkness of the Winter months, when Mother Nature rests in preparation for the next explosive cycle of life that begins in Spring. 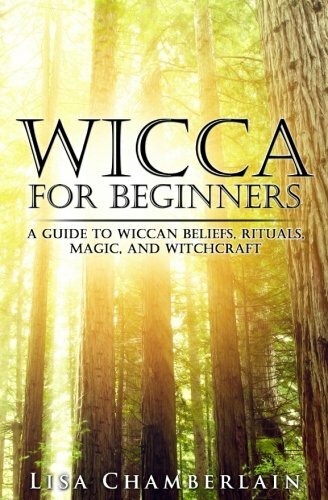 As you’ll discover in this book, Wicca is a reincarnation of the very earliest religions, practiced for millennia before the advent of Christianity. It is often referred to as “the Old Religion,” and many Wiccans consider their practice to fit within a broader tradition of Witchcraft that has been passed down over the centuries. Wiccans celebrate and share many of the same beliefs our ancestors held, with practices that honor the old ways while being compatible with contemporary life. The divine is worshipped as both masculine and feminine, with a focus on balance and harmony with Nature, and a recognition of the magical power inherent in the Universe as well as in ourselves. It is an empowering religion, rooted in ancient times and yet well-suited for the 21st century. If you’re ready to begin your Wiccan journey, scroll to the top of the page and hit the buy now button. You’ll also receive a free eBook!